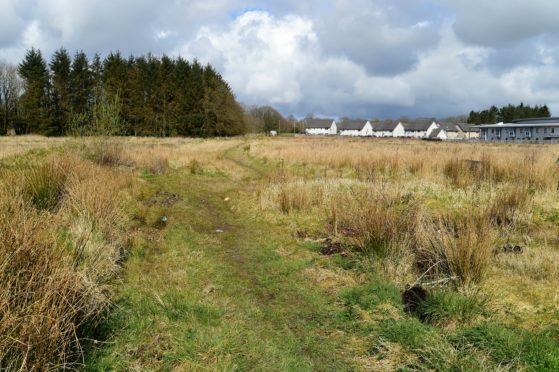 The proposed Castlehill Housing Association development in Mintlaw has been abandoned. Castlehill Housing Association planned to expand the Aden Park estate in Mintlaw with a scheme for 73 new affordable homes. It was earmarked for land at Newlands Road lying between Mintlaw Academy and sports pitches to the east and Aden Country Park to the west. The proposal would have joined the company’s existing development already on the estate and connected the two ends of the street. Currently, there is just one road in and out of homes already there. But now bosses at Castlehill have confirmed the scheme will not be built, although it is understood the council is looking at potentially developing the site as part of its own house building programme. Mintlaw councillor Jim Ingram expressed concerns that the project had faltered before a spade was even put in the ground. He said: “I am saddened on two counts because this much-needed housing would have helped ease the growing waiting lists. “This development included the final completion of the long-awaited Newlands Road which would permit two entry and exit points to the largest section of the village. Last night, Castlehill Housing Association chief executive David Lappin responded that it was “not always possible” for the firm to proceed with every development. He added that they needed to “work within the funding available” and look at where their priorities should be. Mr Lappin said: “We have already developed over 60 new homes on our site in Mintlaw, providing opportunities for low-cost home ownership, affordable rent and a very sheltered housing development.